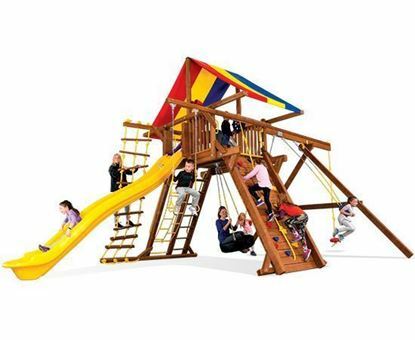 When choosing the perfect Rainbow playset for you and your family, the first step is to decide which style of playset will best suit your children. Does your child love climbing, running, jumping and swinging? 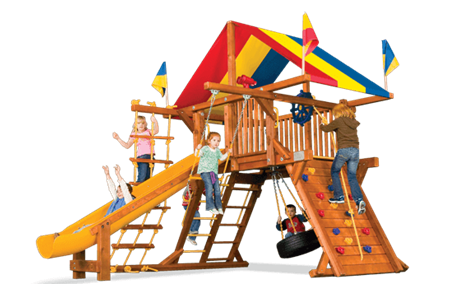 Then the Castle Style with its open play areas and activity-based design will be the perfect fit for you. Is your child is more interested in imaginative play? 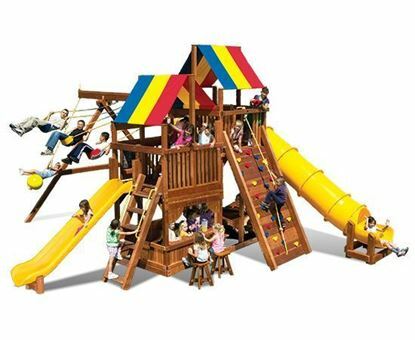 Then the Clubhouse Style with its fort, picnic area, playhouse, sandbox and general store options will be a great option for your family. 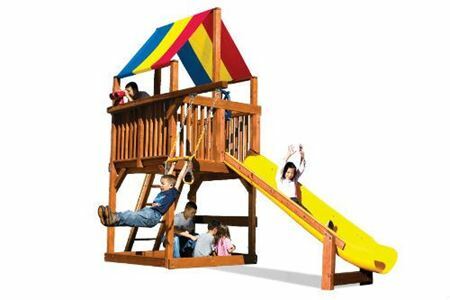 Both styles offer different features to make it easier for you to choose the right playset for your family.